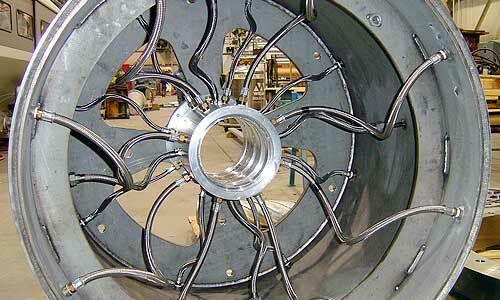 UPE has experience designing and building cooling mandrels for today’s corrugated pipe. We have built many styles, sizes and lengths for HDPE, PP and PVC. 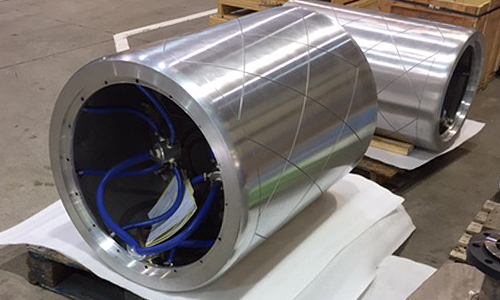 One thing that our mandrels have in common is spiral cooling channels to provide uniform cooling during your manufacturing process. This helps to provide a very smooth inner layer and faster productions speeds. We can design and build a mandrel to fit any manufacturer’s equipment that you may have. There is no need to deal with companies that are not in the United States and have long lead times. Our staff is here to serve you with fast response times.